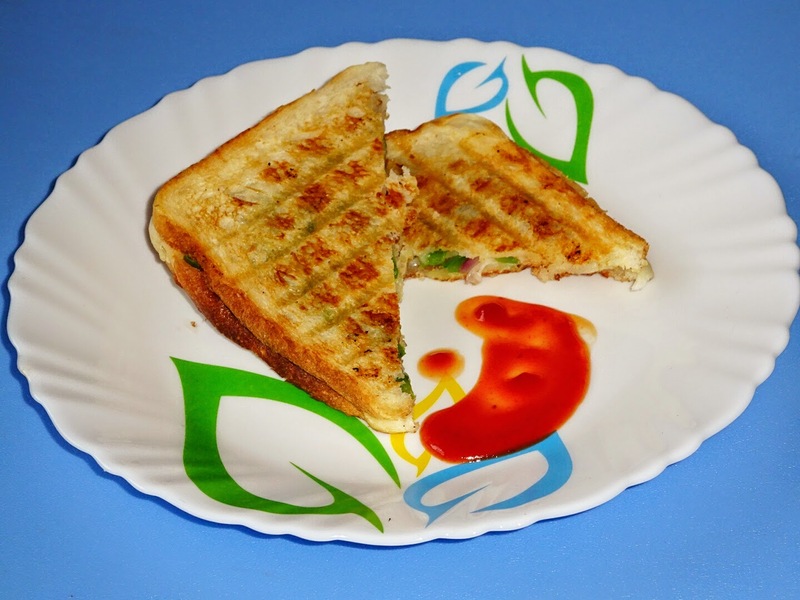 How to prepare Cheese Capsicum Onion Grilled Sandwich | Spicy Capsicum Cheese Sandwich | Grilled Cheese Capsicum Sandwich Recipe | Cheese Chilly Capsicum Grilled sandwich. 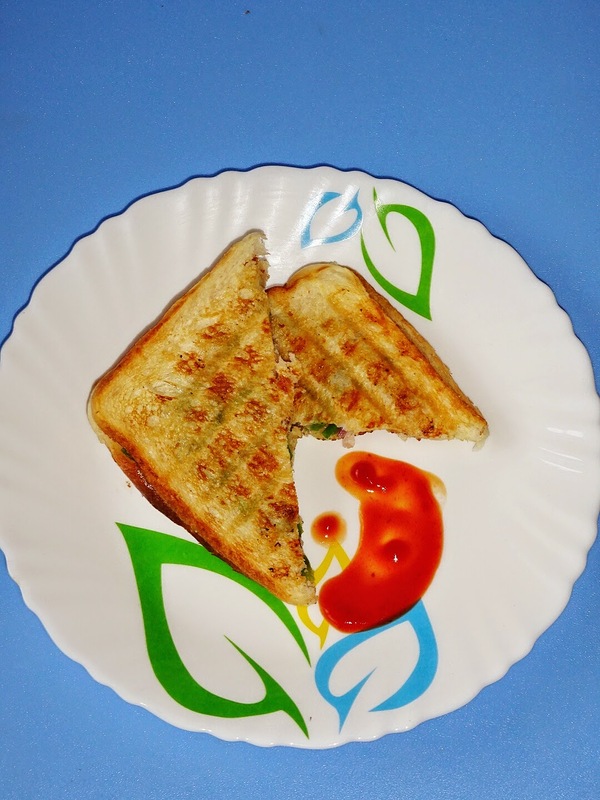 Today's recipe of Cheese Capsicum Onion Grilled Sandwich is an excellent amalgamation of capsicum, cheese, black peppercorns and onions. This recipe is my creativity. 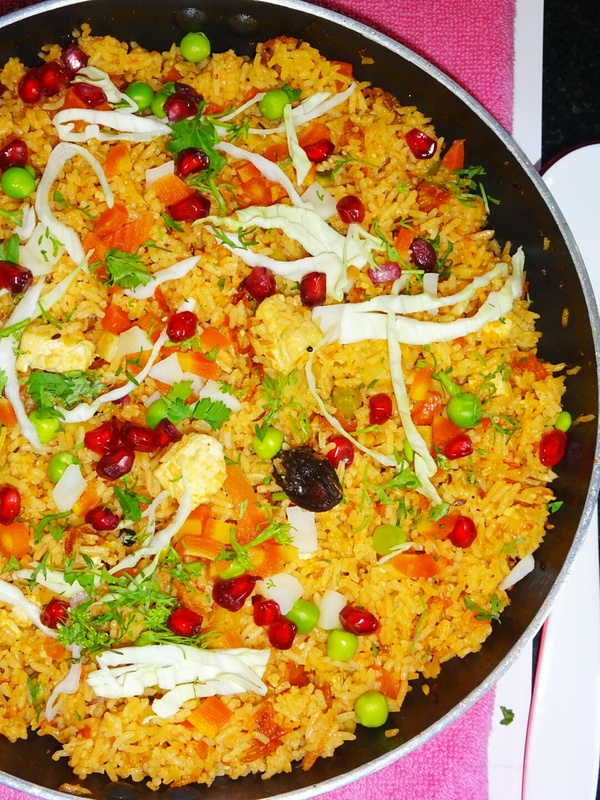 This is best suited for breakfast or evening snacks. 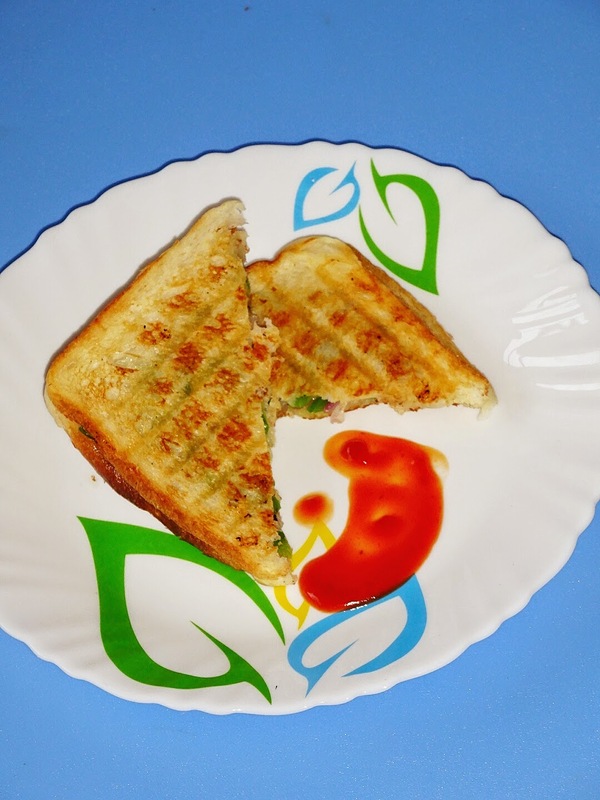 The cheese and capsicum combination adds a delicious taste to this sandwich. 1 capsicum medium size- deseeded and cut into fine pieces. 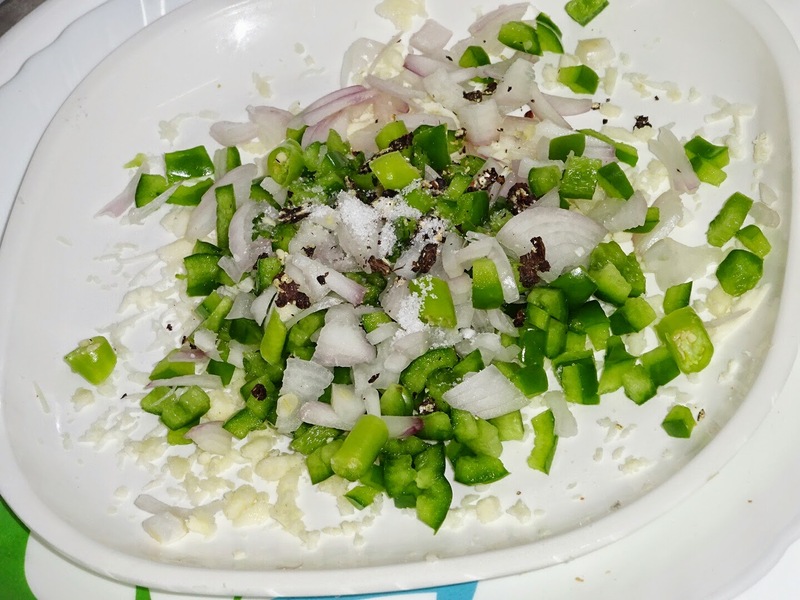 4tbsp grated cheese (use cheese as per your preference, I prefer Amul cheese cubes or mozzarella cheese, you can also make use of cheddar cheese. 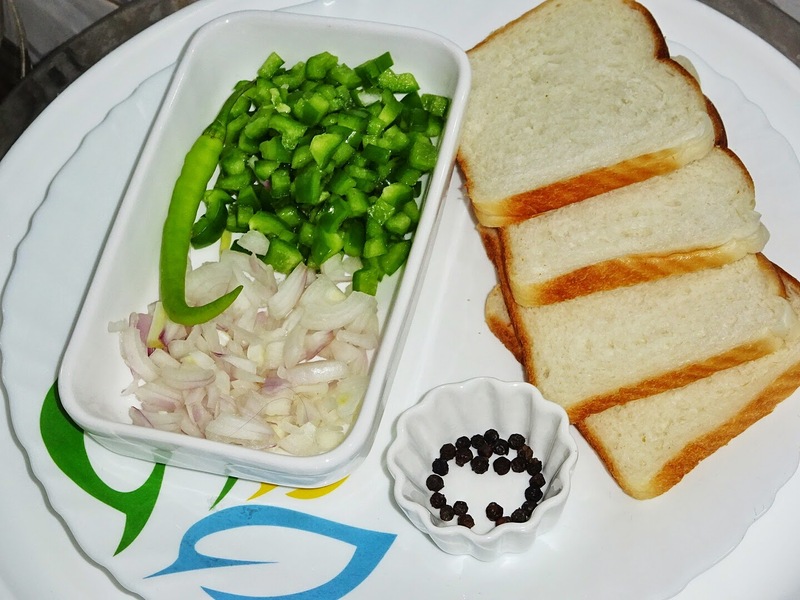 ◾ Chop the onions, pepper and green chillies very finely. 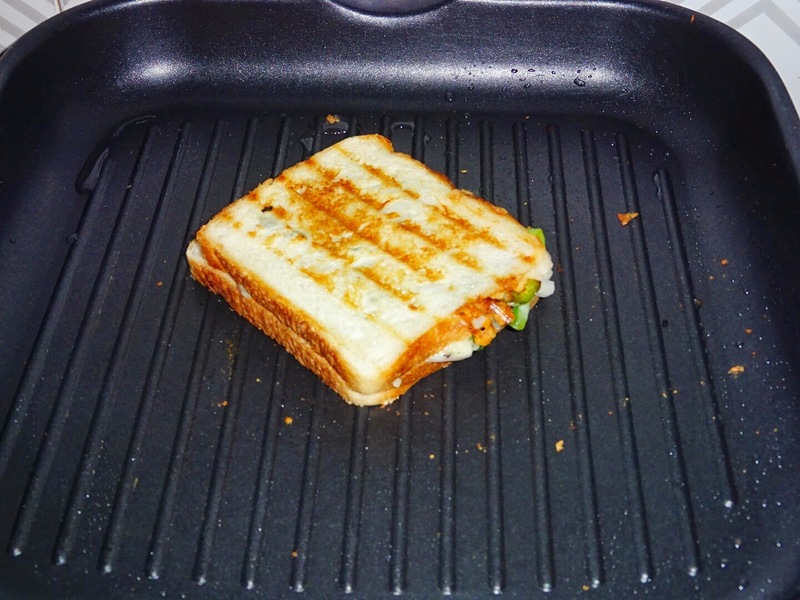 ◾ Grate the cheese and keep aside until required. 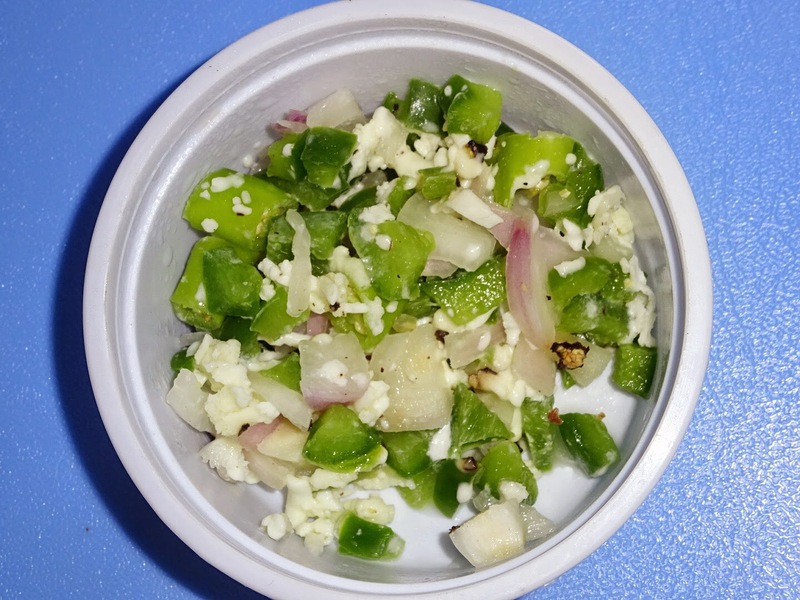 ◾ In a plate, add chopped veggies that is onions, capsicum and green chilies. 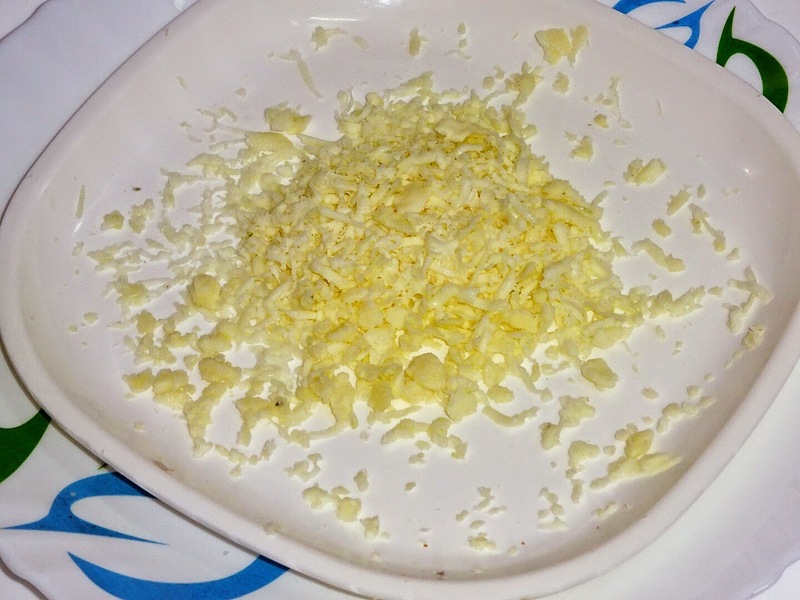 Add grated cheese, fresh milk cream, freshly crushed black peppercorns and salt to taste. Mix all well, our sandwich stuffing is ready. 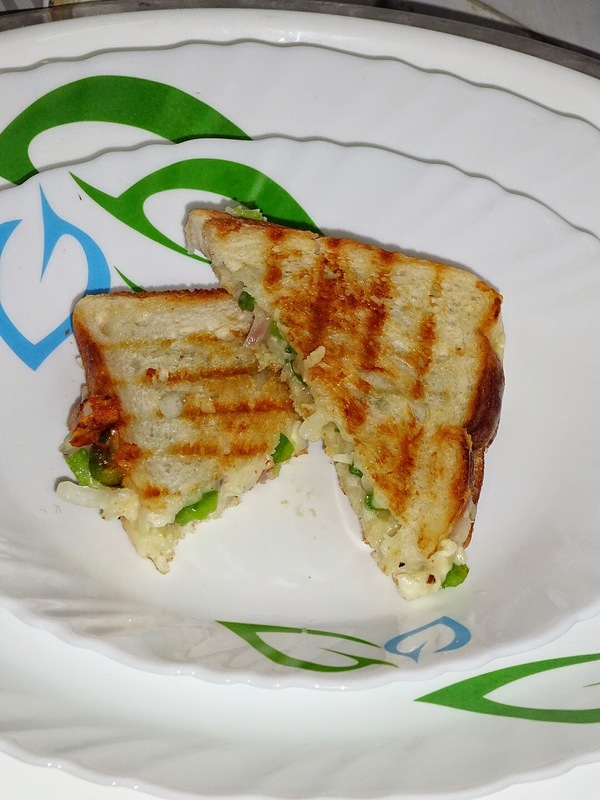 Adding fresh cream gives moisture to this sandwich, but can be skipped. 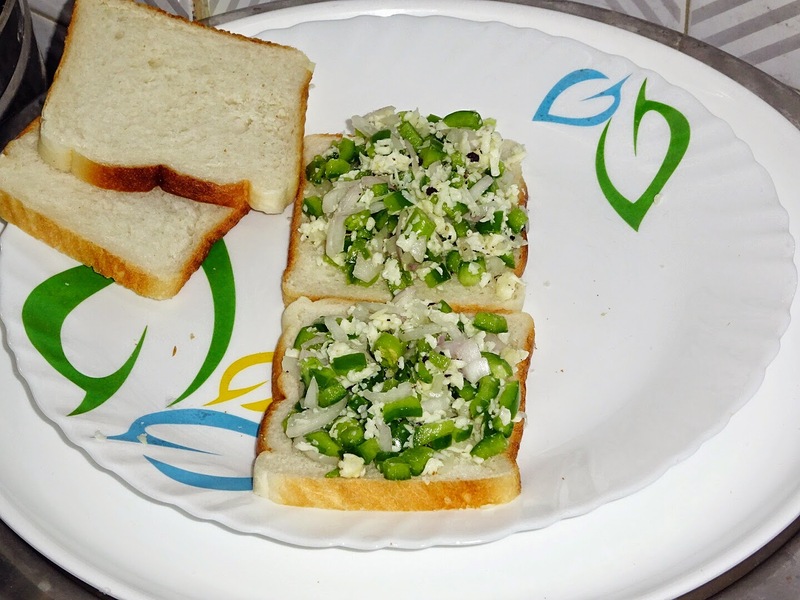 ◾ Apply butter on the bread slices, top with cheese slice and then spread 1tbsp of the cheese capsicum stuffing prepared above. ◾Cover this mixture with another bread slice. 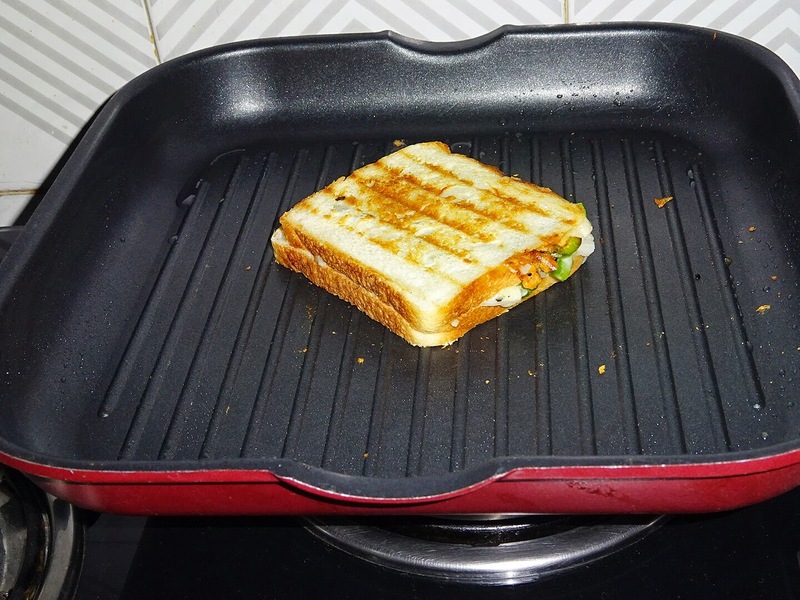 Apply butter and toast on tava, grilled pan or snack toaster till done. 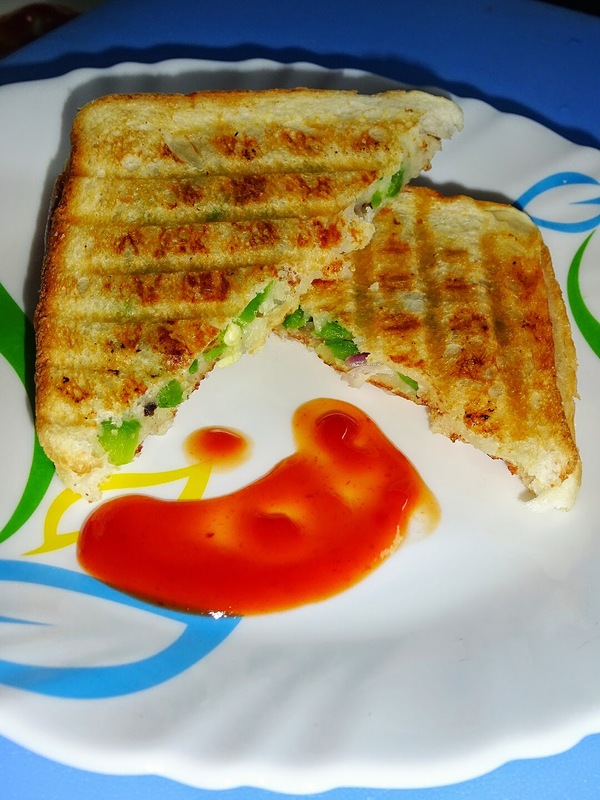 Serve it hot with tomato ketchup.